February 16, 2010 - Port Au Prince International Airport (PAP) will resume commercial flights as soon as February 19, 2010. 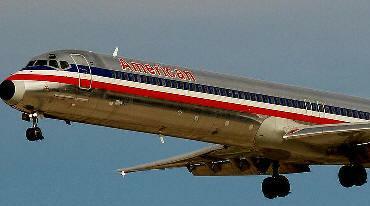 American Airlines will resume flights to Port Au Prince, Haiti as soon as Friday. There will remain flight restrictions in and out of Port Au Prince due to the conditions at the airport. The main terminal building while still standing, has cracks all throughout and cannot be used. Starting March 12, American Eagle will begin new service into Haiti from its San Juan, Puerto Rico, hub. The airline will offer a daily nonstop flight as well as two flights through two cities in the Dominican Republic – Santo Domingo and Santiago. American Eagle will operate its ATR-72 aircraft on flights into Haiti. This will be the first time that scheduled flights have been allowed back into earthquake-ravaged country Haiti. Back on February 2nd the military had begun to allow small jet charters into the country. At that time Port Au Prince International Airport had established "air traffic flow management procedures" that allowed for fixed-wing aircraft to land at Port Au Prince, once they received an arrival slot time from the Haiti Flight Operations Coordination Center. All arriving flights had a 20-minute window to land and required to be on an active IFR flight plan prior to departure. Back in mid January American Airlines had reported that it impose a 30 day bag embargo on all excess, oversize, and overweight baggage on flights to Santo Domingo, Santiago and Puerto Plata in the Dominican Republic. This embargo would also apply to Port-au-Prince, Haiti, when service resumes there. American Airlines now reports that passengers may carry a total of five bags, two onboard and three in the belly of the aircraft. The 7.0 magnitude earthquake that devastated Haiti January 12, 2010, severely damaged the airport's air control facility, rendering it inoperable. The government of Haiti requested U.S. government to help with a solution. In response, the FAA produced a mobile control tower used for relief efforts following Hurricane Katrina in 2005, said to Angus Wall, the FAA Miami Technical Support Center manager. The mobile control tower will be used until a permanent facility can be rebuilt, according to FAA officials. Haiti’s air traffic control will resume its normal operating hours from 6 AM to 3 PM to 6 AM to 10 p.m.
At the present time American Airlines will be the only air carrier to operate from the United States to Haiti. Delta Airlines has not given a time to begin services into Haiti.